The highlight in automotive history for 1990 is the long awaited introduction of the 1990 Corvette ZR-1. In March of this year, a regular production Corvette Coupe and a ZR-1 break three world endurance record and establish 12 international class records at the Fort Stockton, Texas racetrack. 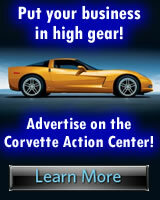 The record breaking attempt was spearheaded by Tommy Morrison of Morrison Racing and 3 Corvette engineers. Gallery: An online gallery of high quality 1990 Corvette pictures. Production and Performance: Options, production numbers and performance reviews for the 1990 Corvette. Specifications: General specifications for the 1990 Corvette. 1990 Twin Turbo Callaway Corvette: Specifications and performance figures for the 1990 Twin Turbo Callaway Corvette. 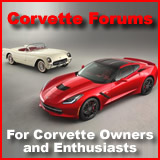 Callaway Corvette Forum: A technical discussion forum for the Callaway Corvette.